Home / How can my church benefit? Churches can receive up to 40% of the purchase price of goods ordered from April Cottage Cards! If your church joins up to this scheme, anyone will be able to shop at April Cottage Cards and nominate the church to receive 50p per card purchased, 10p per sticker sheet and £2.00 per memory stick. When anyone shops online they will be able to select your church from a drop-down box as being the church they wish to receive the portion of profit made from their purchases. Every quarter the church will receive a statement giving details of the order numbers of qualifying purchases and the amounts owed to the church. This will be accompanied by a cheque made payable to the church. Will the church know if I have placed an order? No. The church will only be given the order numbers. This way you will be able to check with the church that the amount due from your order has been received but your identity will otherwise be kept confidential. Would this cost anything for my church? No. There are absolutely no costs involved for your church. Can I only order online from April Cottage Cards? At present, yes. I am aware that a number of people are unable to easily order online so I am working on possibly producing brochures and order forms which would make ordering by post possible. If your church is in Devon or Somerset and would like me to run an April Cottage Cards stall (with the same terms of the church receiving up to 40% of the takings) at an event, then do get in contact with me at cards@aprilcottage.co.uk. How does my church sign up? 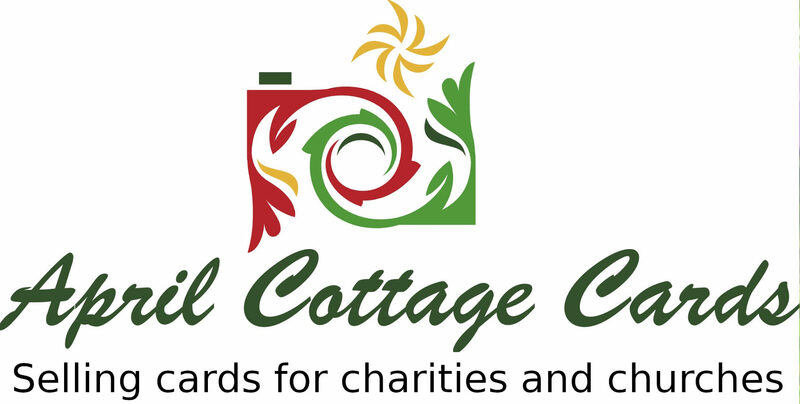 To receive a full information pack, or to ask any further questions, please send an email to cards@aprilcottage.co.uk.